All bows are attached to a soft, nylon headband. 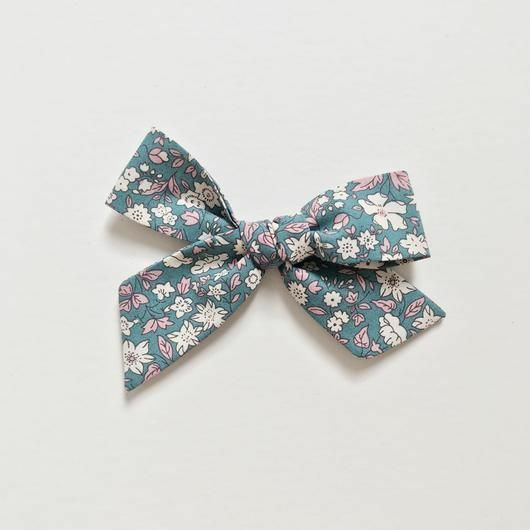 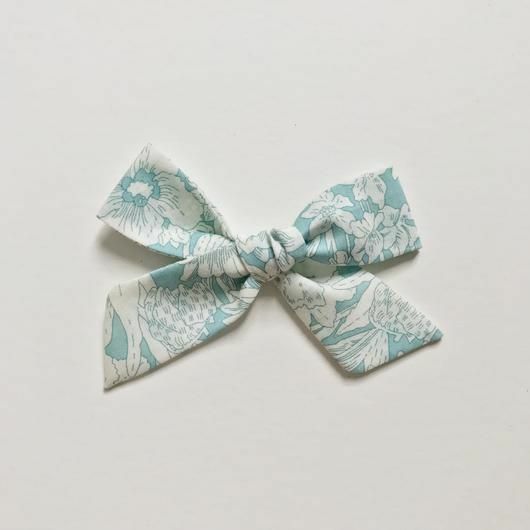 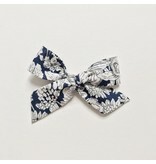 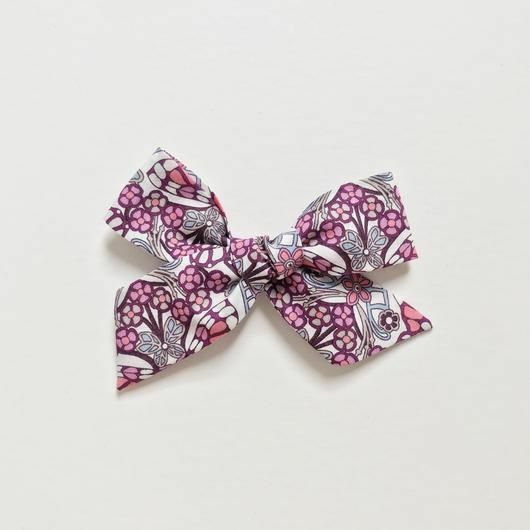 These bows are soft as silk, Tana Lawn fabric by Liberty London is produced using ultra-fine long staple cotton, without the use of chemicals or irritating allergens. 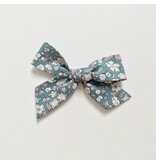 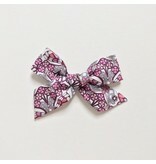 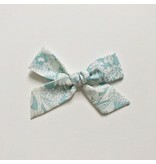 Each bow is hand cut, sewn, pressed, and tied with great care & attention to detail. 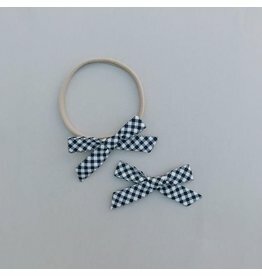 Bows are secured to a nylon headband. 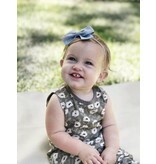 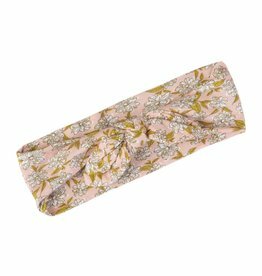 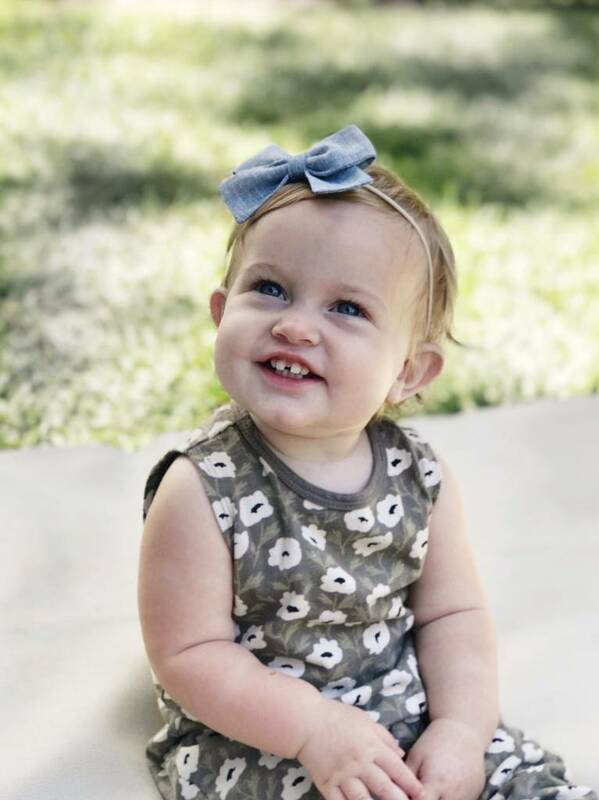 These headbands are soft enough for a newborn, yet stretchy enough to comfortably fit an adult; the perfect headband to grow with your little one and to last through the years. 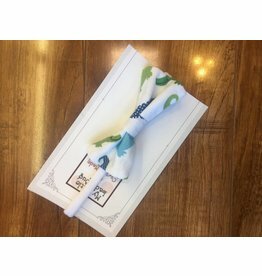 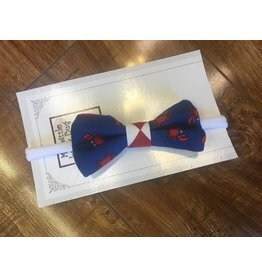 Each classic knot bow measures approximately 3.25" wide x 2" tall.